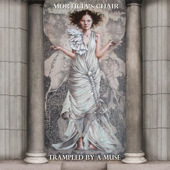 Morticia’s Chair, the veteran area quartet who have been nominated for numerous Scene and Free Times music awards, will release their fourth CD, Trampled by a Muse, tomorrow night, June 26, with a barbecue starting at 6 p.m. The $10 admission gets you food (including vegetarian options) and an evening of music with Queue-Up playing at 8 p.m. and Morticia’s Chair taking the stage at 9. It takes place at the Center for Rock Research Facility at 1761 E. 39th St. off Prospect. Admission is $10, which includes a copy of the CD. Morticia’s Chair was founded by singer/songwriter/guitarist Mark Kaye, formerly with Screwtractor, in 1996. They release their first CD, Maggie’s Carriage, in 1998, followed by Echolator in 2000, and Beautiful Monsters in 2006. Although usually nominated for awards in the goth/industrial category, the band’s music is a distinctive blend of goth, folk, and rock elements, with a pensive, even morbid atmosphere surrounding lush melodies.